What girl doesn’t love to play with glitter? You might have seen my Instagram post when I was creating some glitter magic in the studio this past week. I started out doing a bold over the top glitter makeup tutorial for you and then thought “Who am I kidding?, My beauty junkies would never wear this much glitter.” I regrouped and came up with a Holiday glitter look that I know all of you girls can do. 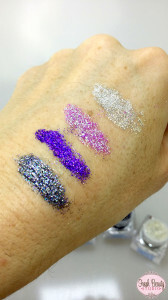 You can see by some of my Lit Cosmetic swatches below and how pigmented this glitter line is, a little warning: intense color payout. I am in love with Hello Sunshine and Afternoon Delight, both offer a lot of versatility depending on how you want to apply them. Bonus!!!! I am giving away both below. 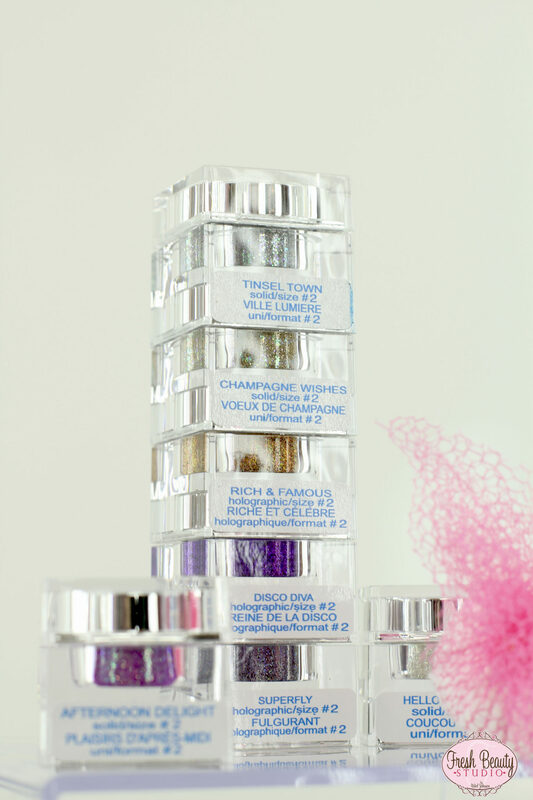 I have been playing around with seven shades (Hello Sunshine, Disco Diva, Superfly, Afternoon Delight, Tinsel Town, Champagne Wishes, Rich & Famous) from Lit Cosmetics that are now available at Sephora both in Canada and the USA. 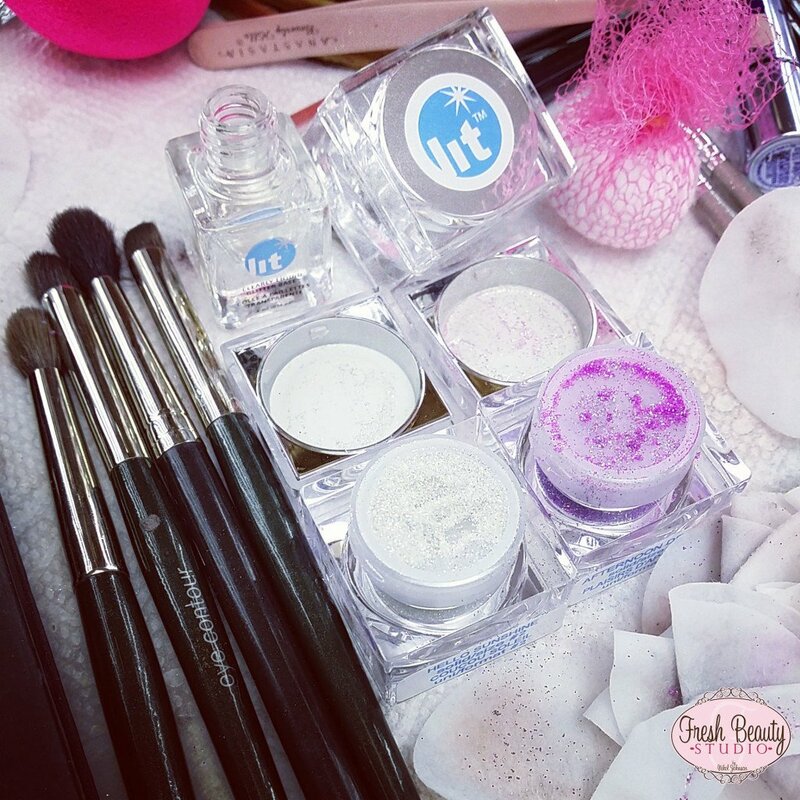 You may have an opinion about wearing glitter past twelve years old but Lit Cosmetics is not just your average glitter, it’s made with all natural ingredients and prides itself in being water based, alcohol free, paraben free, and Propylene Glycol free. There are no rules when it comes to working with LIT Cosmetics glitter. You can use it as an eyeliner, over eye shadow, on lips, in nail polish, body tattoo designs to just name a few. It’s fueled by your creativity and imagination. Are you ready to get LIT? 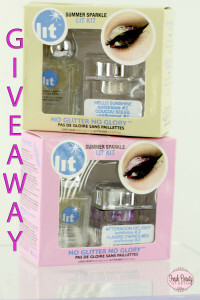 Enter my Giveaway below for a chance to win one of LIT Cosmetics glitter kits. 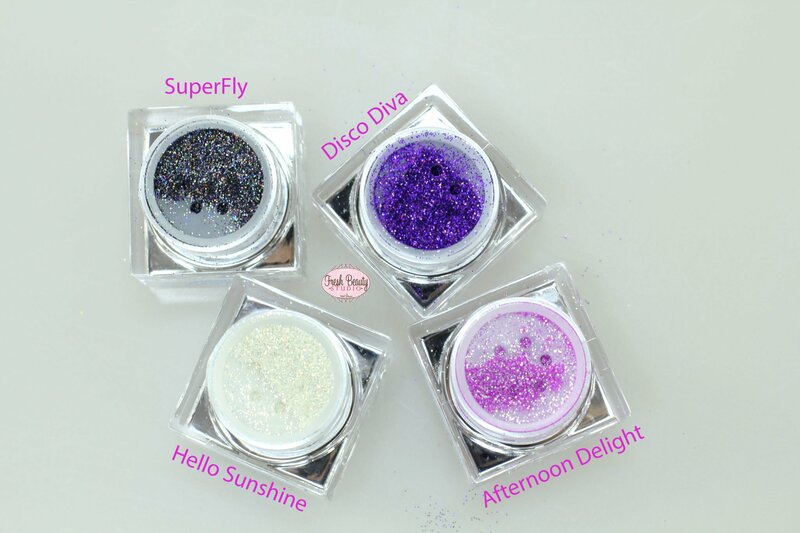 **Bonus Use Promo Code “Lit Chick” on www.litcosmetics.com in the comment box after checkout to receive one free colour with any online purchase. 2. Leave a Comment on this post letting me know if you like Glitter. Contest starts on Monday November 3rd and the winners will be announced on my Instagram on Friday November 7th, 2014. Good Luck Beauties. I hope this get LIT | LIT cosmetics + giveaway review will be very helpful to you. I love glitter! You don’t understand, I love it so much I could swim in a pool of it! Lauren Kelly liked this on Facebook.